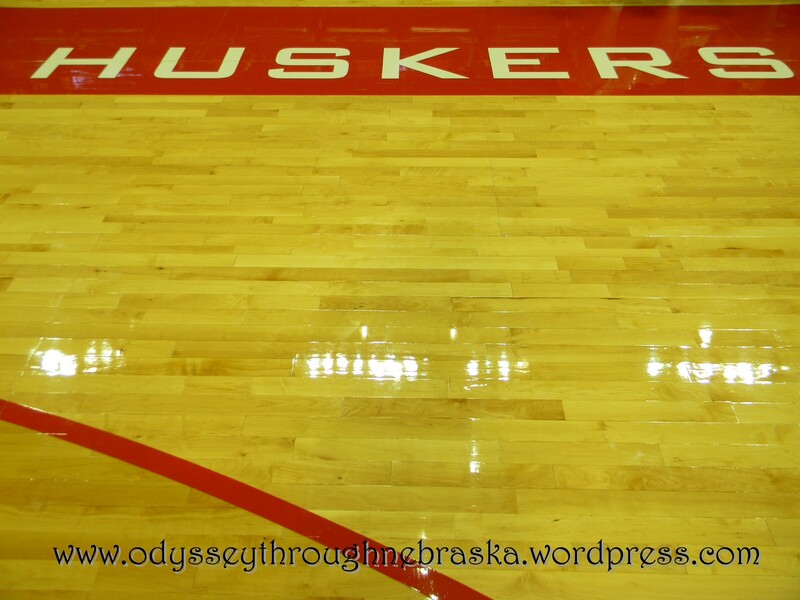 Blogging in December: Go, Huskers (and American U)! When I completed my first half marathon in 2010, I agreed to become a running billboard. (Now, before you are that impressed, I finished my 2nd and probably final half last spring. I am not exactly speedy, but I am glad that I “ran” them both times!) Anyway the race happened to be days before a big vote was happening that would affect Lincoln. 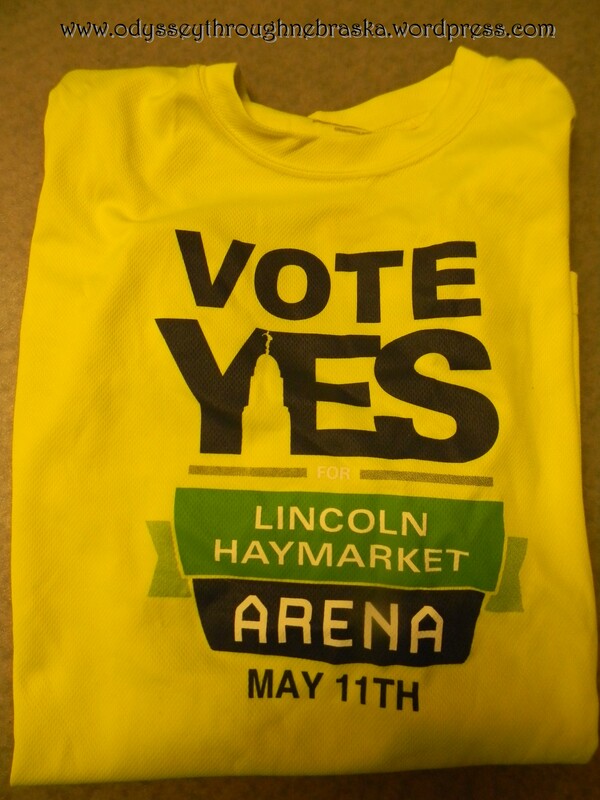 While I doubt my shirt had anything to do with the outcome, Lincoln did vote for a new arena to be built. 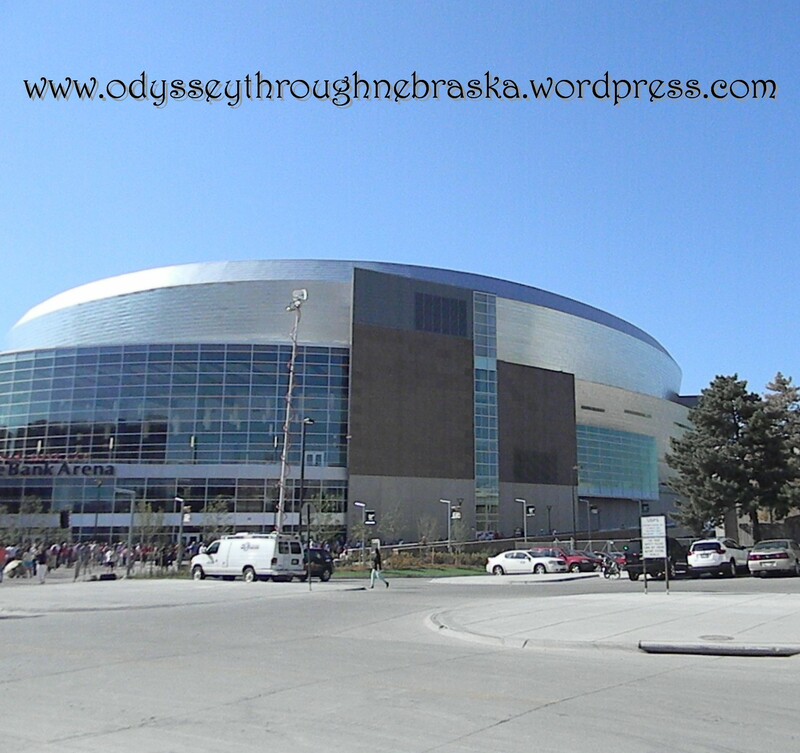 And now that that building feat has finally be completed, I personally feel this beautiful structure has added a wonderful element to downtown Lincoln. 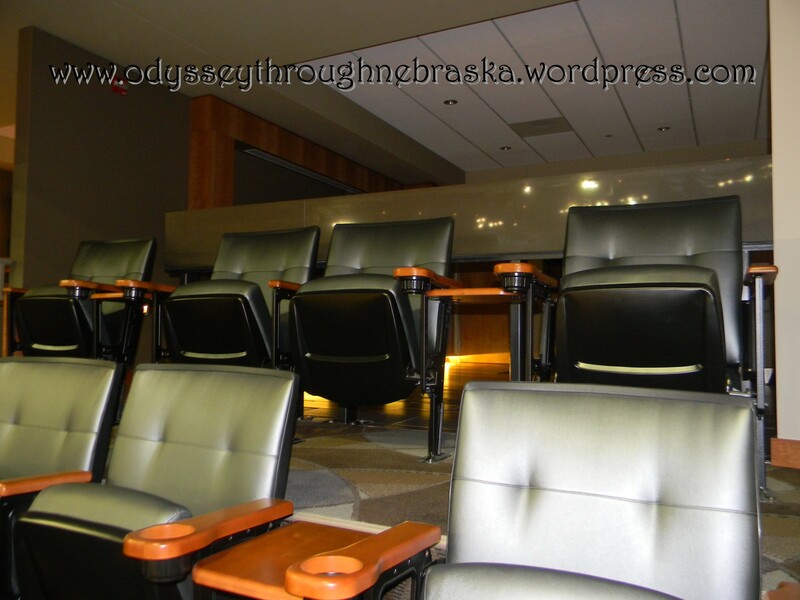 The possibilities that have been added for downtown Lincoln life are tremendous. Concerts, expositions and ball games in a quality setting. I think the building lives up to the hype. 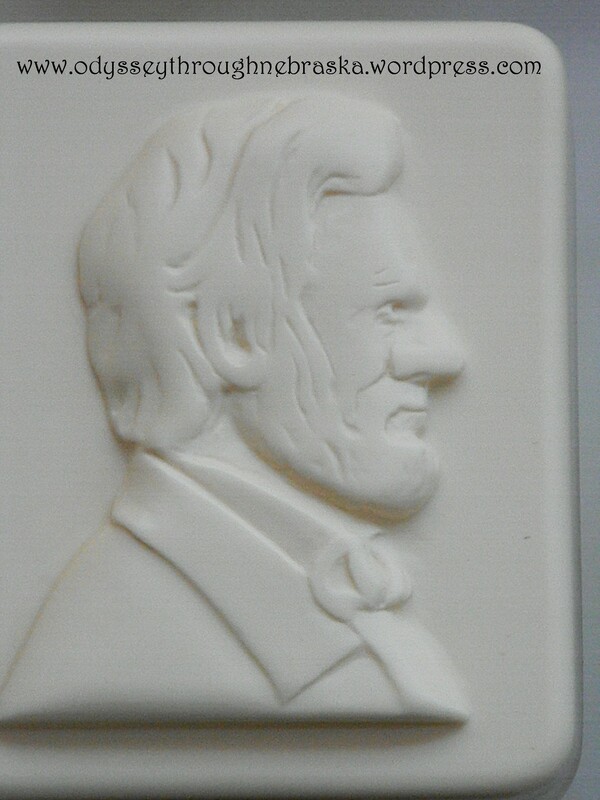 Lincoln himself welcomes you to this newest Lincoln venture. Sort of. 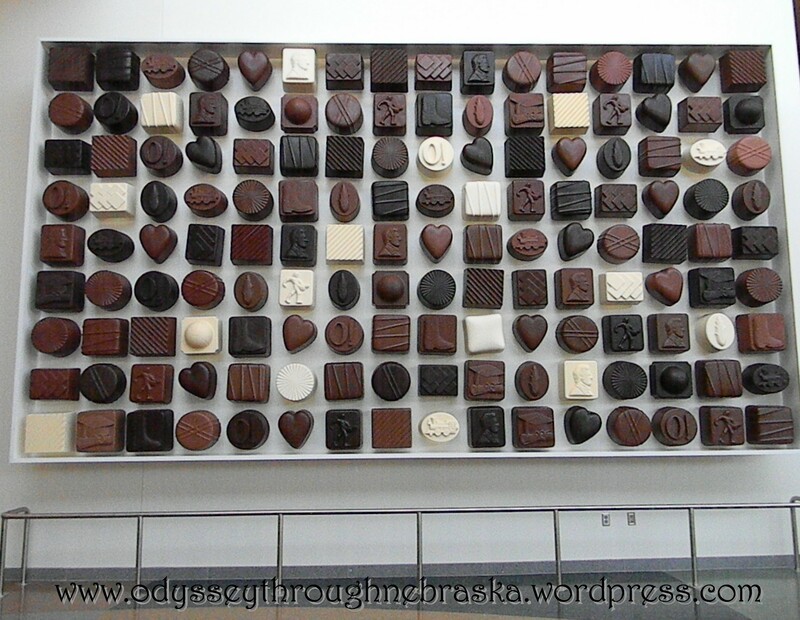 At first when the Lincoln Journal-Star revealed that the arena would feature a giant chocolate wall sculpture, I was a bit unsure. But having seen the artwork in person, I have to say the result is impressive. 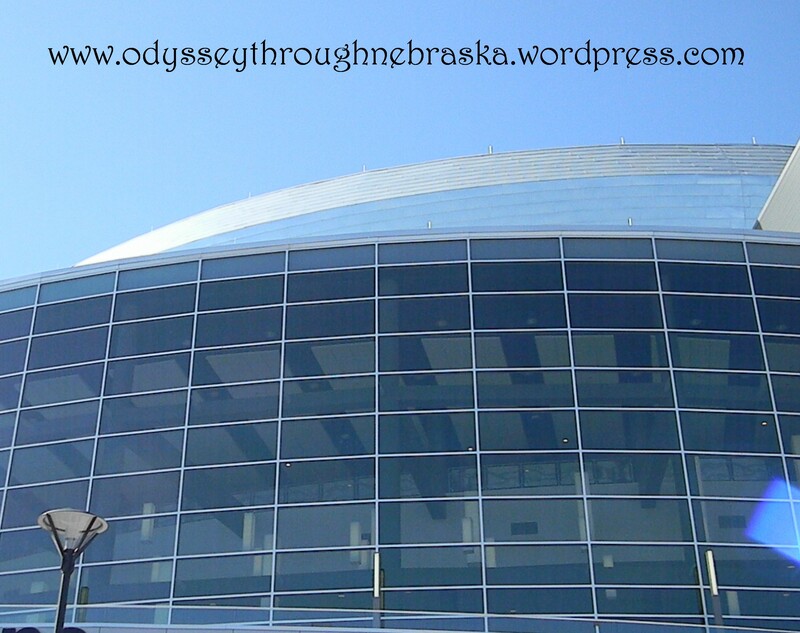 Even the big “O” is represented. 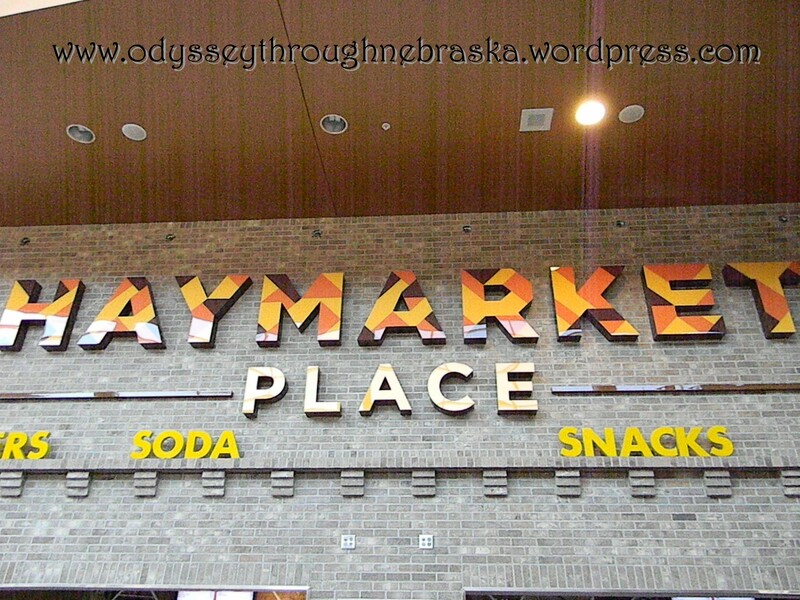 Since the abundance of “chocolate” might make you hungry, the fact that a concessions stand is nearby is a bonus. 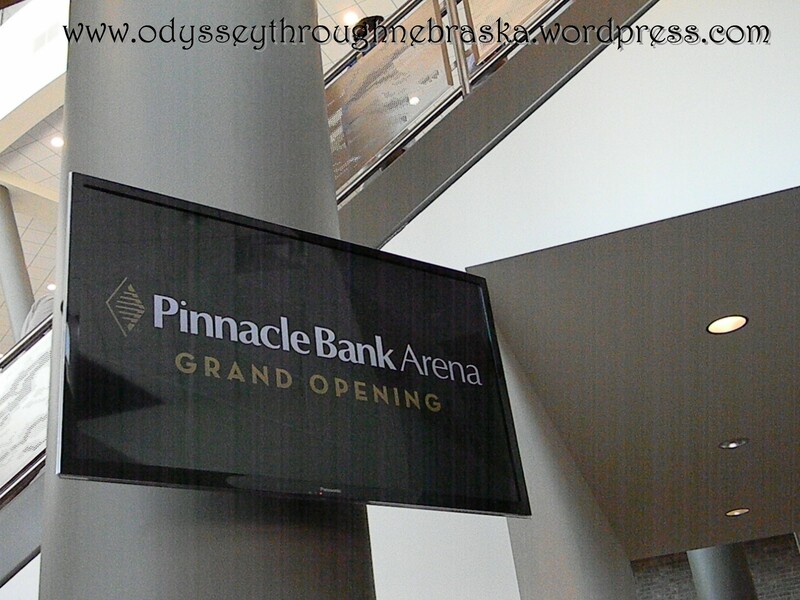 Finally we got to see our first views of the arena. People could go out on the floor and try out the new hoops. 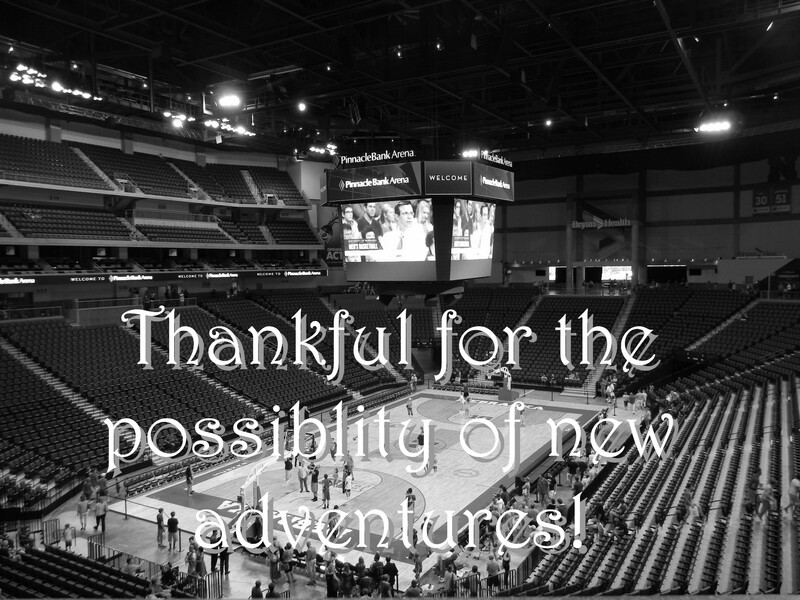 We both enjoyed being able to say that we have made baskets at the new arena. My son was in hardwood heaven! His other highlight was definitely meeting Coach Miles. He seems to be a genuinely nice guy. 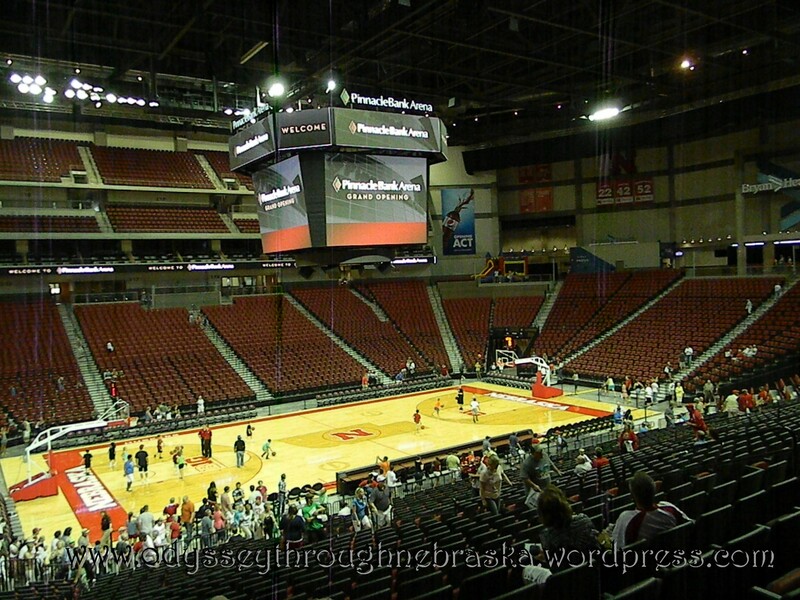 Excited to see what happens with the Husker men’s basketball program in such a great atmosphere! We also climbed up to the VERY top row. This is what the floor looks like from above (no zoom applied). Almost vertigo-causing height, especially since hardly any people were up to there to stabilize the view. 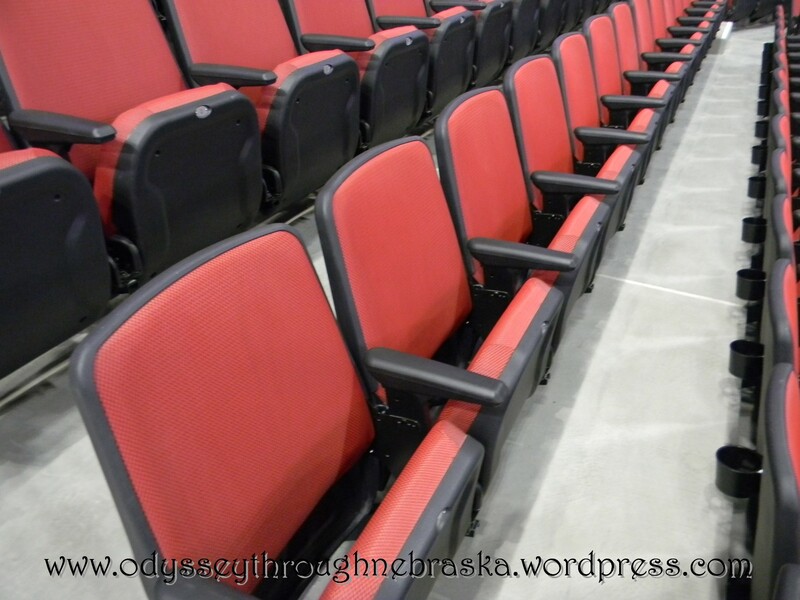 Due to time and other constraints, we have not attended an official Pinnacle Bank Arena concert or sporting event yet. 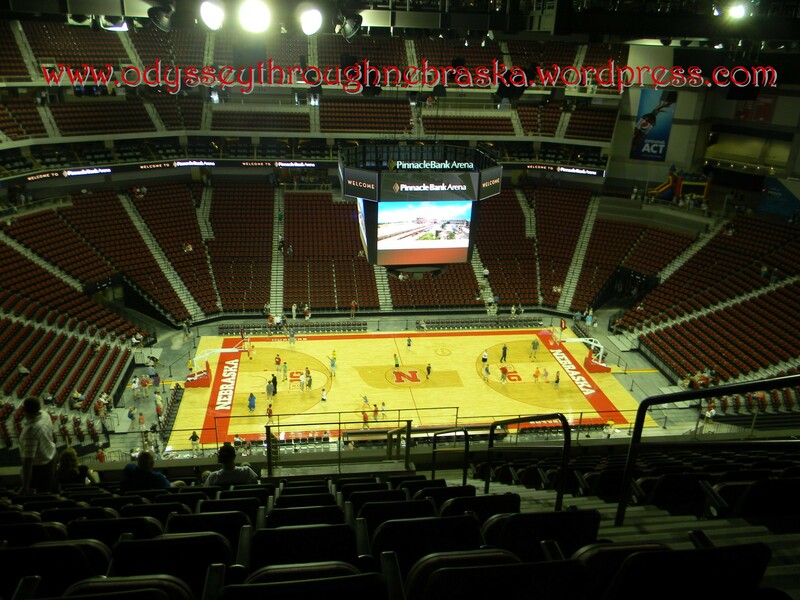 But I know that I definitely hope we will be able to take in at least one Husker game this year. The men’s basketball team has a lot of potential, and the women’s team is already fantastic. Go Big Red!